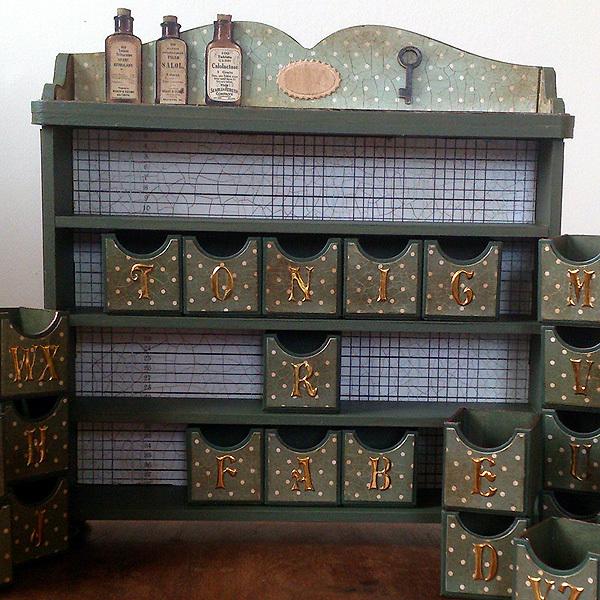 This unit is called the Tivoli unit and is designed primarily to be used as an advent calendar but it can be decorated for use all year round too. 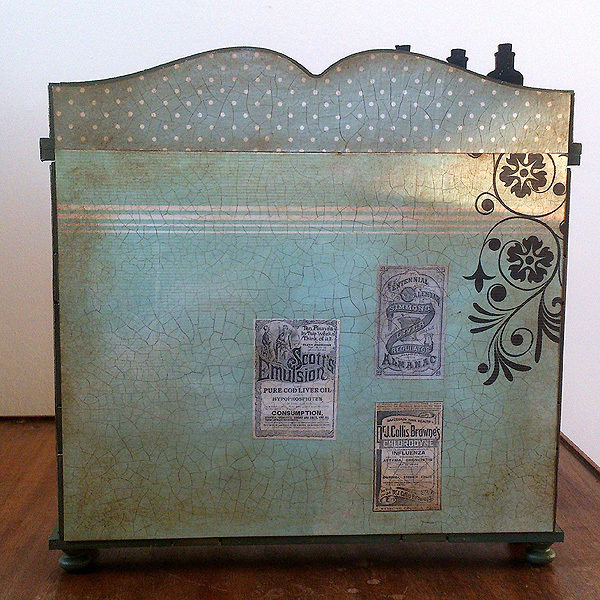 I decided to give mine a vintage twist and just for fun made it into an apothecary style unit. 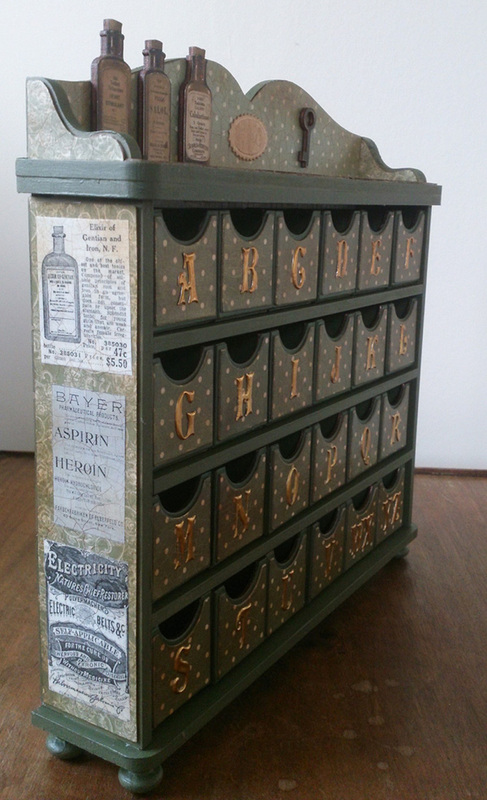 It will find a use on my desk storing drawing pins, paper clips and other such small items. I'm a little bit OCD, and so I always have to decorate the back to make it pretty too. I found some wonderful vintage printable advertisements for some rather dubious sounding medications! Electricity..nature's chief restorer apparently! Sounds a bit scary if you ask me ! 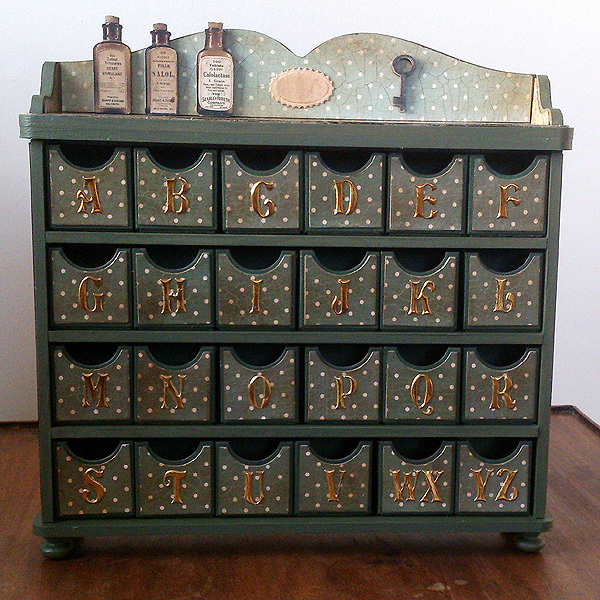 These units can be decorated in any way you fancy. I added the little wooden drawer pulls for feet to further customise the unit. 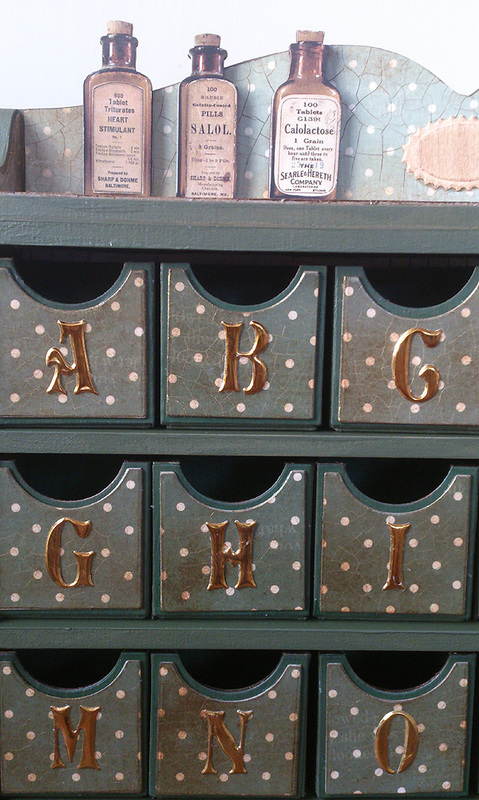 I used my old favourite - tomato paste tube, to cut the letters with Tonic's new alphabet dies. 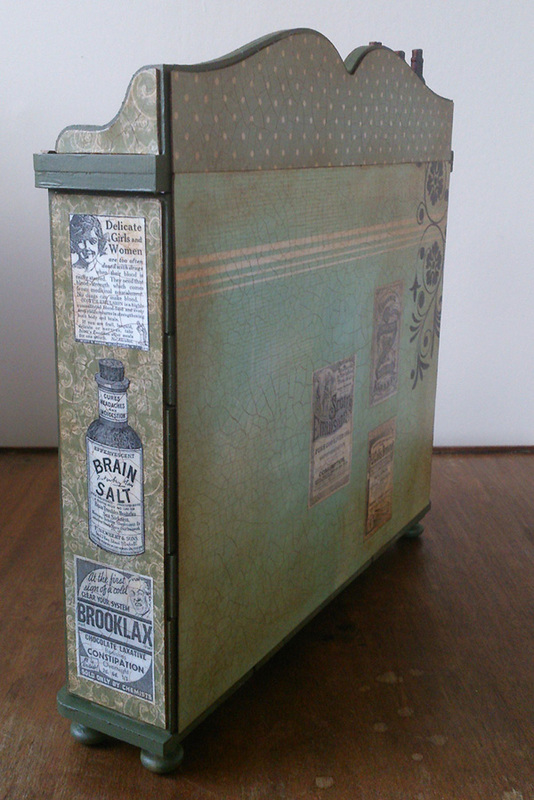 I've used Tonic's 2 part crackle glaze all over this unit. I love the effect! Jodie is on Create and Craft right now (2-3pm ) and will be on again at 7-8pm, so don't miss the shows. See my original blogpost on my blog here.